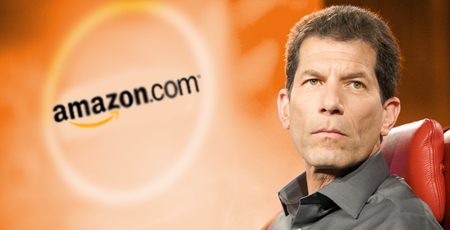 HP's Senior Vice President and General Manager, Palm Global Business Unit (say that ten times fast), Jon Rubinstein, has joined Amazon's Board of directors, reports All Things D. Rubinstein received 5,000 shares of limited Amazon stock as well. Good to see Palm making more connections in the industry. Let's hope that Palm is making one more connection with Amazon - getting their Kindle ebook app available for webOS devices - the Android Kindle app is looking mighty nice after the update.